So, after Satan in St Mary’s, where I made allowances for the need to introduce the characters in terms of the fairly obvious resolutions to the mystery, how does Corbett fair on his second outing? First of all, I should make clear, as I mentioned in my recent article on Series Mysteries, this spoils the murderer from the first book. So if you’re fussed about being a completist, then you should search that one out first. OK, that’s the warning done. This book is mostly free from personal stuff and is more of a traditional set-up. With the usual evocative descriptions of medieval life (apparently Edinburgh had even more turds in the street than London), this is a fairly standard mystery structure – someone dies, someone investigates by meeting various people and learning bits and pieces, survives a couple of attempts on his life, puts it together and solves the crime. It’s a very easy read and there is a plethora of suspects. 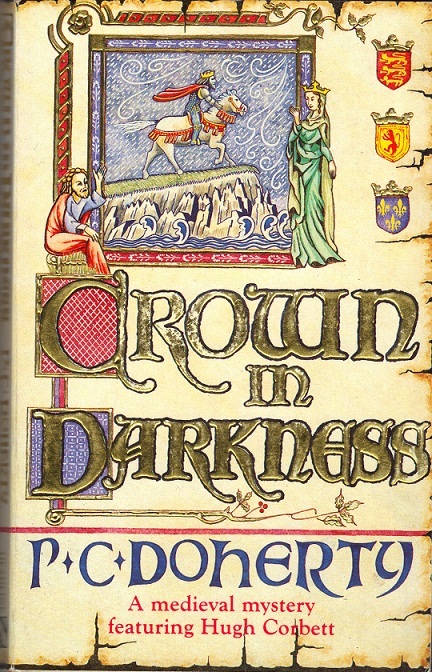 The one character who is introduced here, who, if the blurbs on the many unread books in the series are to be believed, will continue to plague Corbett is the Frenchman de Craon, basically the French version of Corbett, although a bit more ruthless. There’s also a few more deaths, including a sort-of impossible murder, although this isn’t gone into much, as the solution is very obvious and does give the murderer away. those scenes, it’s a bit of a cheat, really. What makes it more intriguing is that, from the author’s note, this is Doherty’s theory as to what actually happened to Alexander, give or take a few details, and the political scheming does tend to make up for the lack of fair play in the mystery. Although, according to the Wikipedia page for Alexander III – not linked to as it mentions the book and spoils the murderer – the reason for the midnight gallop was simply that it was Yolande’s birthday… the book’s version is more interesting than that, but if that was the case, then it does derail part of Doherty’s theory. Anyway, a short (185 pages) excursion north of the border, and the series is still showing promise. Fingers crossed for some more clues next time. Oh, and try and ignore the bit with the Picts – it feels like it’s from a different book – something a bit more Hobbity. The problematic clueing is what keeps Doherty from surpassing DeAndrea, Resnicow and Pronzini as a neo-orthodox mystery writer, but I have to admit that even their absence has yet to ruin a book. Even if they fail as proper detective stories, you still have a well written historical novel and I guess this just such a book.